An Interflora design can be designed in your choice of colour and has flowers and foliages, lilies, roses and many other seasonal blooms. A beautiful symbol of life, a floral tribute is a wonderful and much appreciated way to express your feelings for a friend or loved. 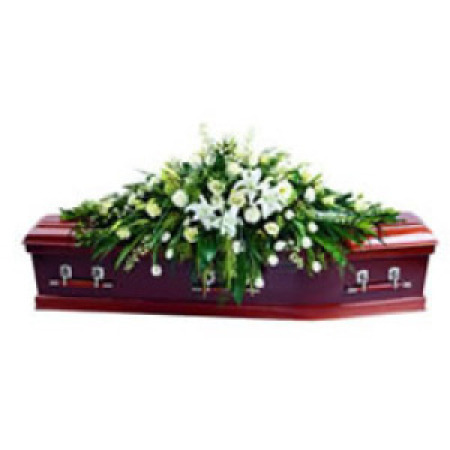 This large Sympathy Casket Cover Spray is suitable for delivery to the funeral service only (it is not suitable for delivery to the home).